Thank you to all those who took the time to participate in this survey. 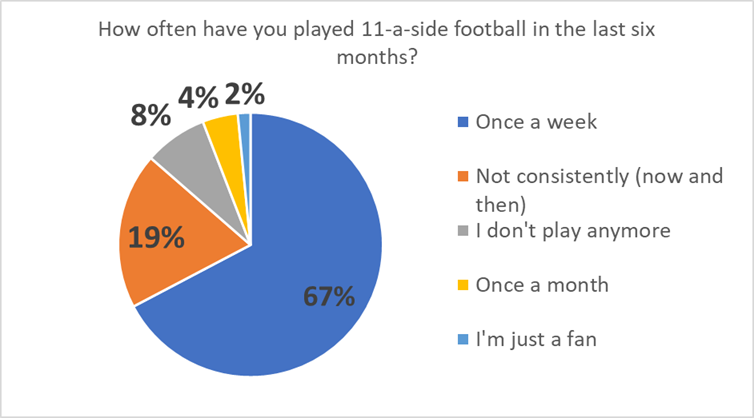 A total of 15 questions were asked and 324 responses were received from 53 teams. 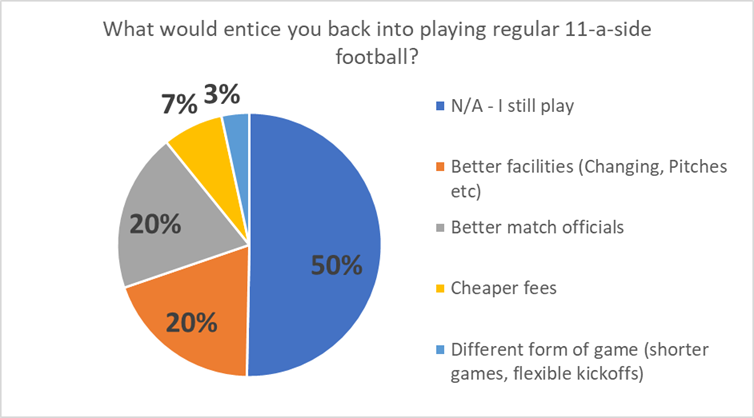 The results of the survey will be analysed and discussed at our next Management Committee meeting. Any agreed recommendations for the future, will be notified to you all in due course. Which Worcester League football team do you play for, or are associated with? DRAKES BROUGHTON RANGERS RES F.C. LOWER TEME & MARTLEY F.C. DROITWICH SPA EAGLES F.C. RES. NEW INN SPORTS (MALVERN) F.C. All of the above without "the oppositions behaviour"
General player behaviour - on both sides. Too many players blame everyone else for own failings. I feel each side should at least provide somewhere to get changed. It would be a combination of opposition behaviour and poor standard of match officials. Match officials give out more yellow cards to players who criticise their decision making than for tackles that deserve a yellow. The arrogance of people in the game generally coupled with the fact that grown adults struggle to come to terms with defeat. There always seem to be certain teams that are not playing in the right division and win every game with too big a margin. Not enough is being done to encourage youth to play football. Mixed standards. When leagues have teams that are much better than everyone else (or much worse) interest wanes. This applies all the way through to junior football. Players want to believe that they can win and are not going to get stuffed every week. Where this is happening, the league should act faster to change the structure of league to make it fairer for ALL teams. 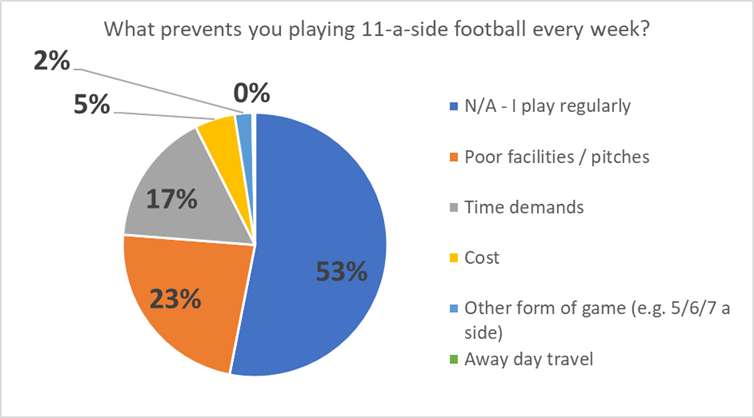 The cost isn’t an issue, if players enjoy the football they will play. The problem is a combination of the other four options.